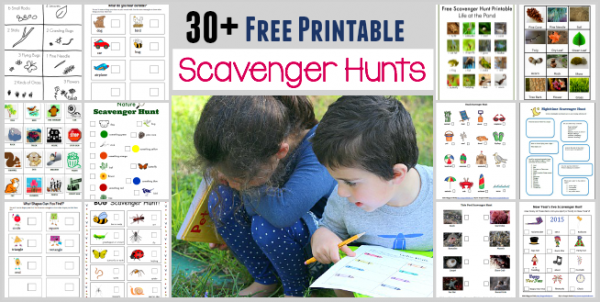 An easy way to get kids active and learning outside is to go on a scavenger hunt. My daughter loves doing nature walks and observing things (here’s one we did in the fall that includes seeing, hearing and collecting items as you go). They’re sutiable fo all seasons and can be adapted for wherever you live, depending on what you’re likely to see when you go out. It’s pretty easy to make your own scavenge hunt checklist, too; I made mine in Word with a little clip art and some squares to make checkboxes. And you can always do a nature walk without a printable and just write down or draw pictures of things you observe. Count trees and squirrels in the city or collect a great rock, and kids will have fun walking wherever you are. Do you like to do scavenger hunts? I’d love to hear about what you go looking for!